Acrylics are fun! They’re vibrant and colorful, and are great for beginning painters. Working with acrylics can be similar to working with oils, but without the fumes. Acrylics dry fast, are easy to use, quick to clean up, and are “forgiving” because you can paint right over errors in a way that isn’t possible when using watercolors or oils. 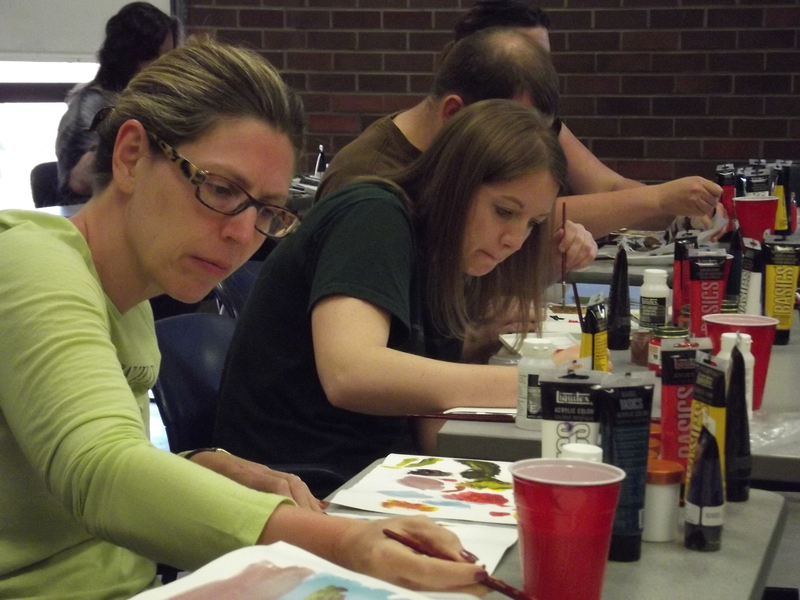 You’ll have fun, learn a lot, and you’ll learn techniques you can practice to develop your painting skills further in the future. PLEASE NOTE: There is a $20 materials fee payable to the instructor in class. It includes paints, brushes, medium, palettes and canvases. It is not charged when you sign up. It’s fine also to bring your own materials and use them instead. Lonni Flowers, instructor. Need more info? See the CLASS PAGE. Ready to sign up? Click below!